Growing up, I was fortunate to have my mom at home with me through out my childhood. I remember spending hours with her, learning to sew, and countless hours of her trying to teach me how to knit. But when it comes to drawing, she always says I began to draw before I could speak. It required no instruction, and was a natural exploration. Today, drawing continues to be the ground from which all my work springs. 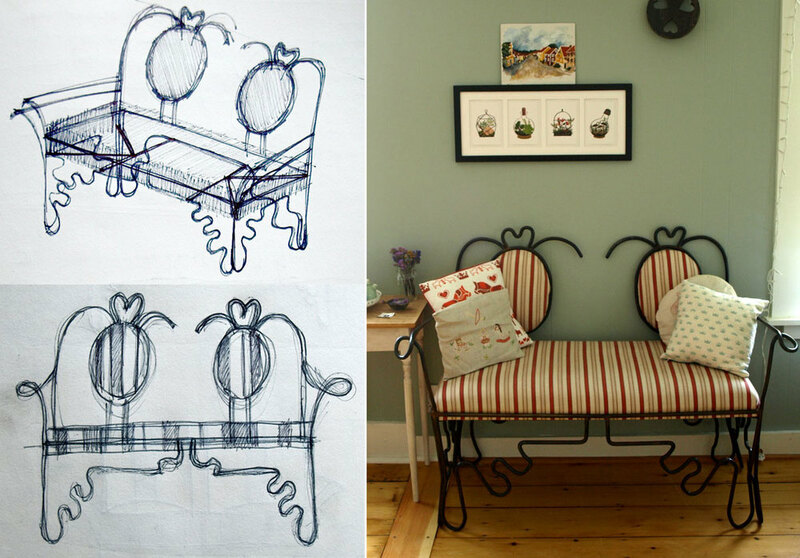 While studying Furniture Design in college, I relied on countless drawings to help me through conceptual development, and through the fabrication process. I mapped out each design carefully, checking over my measurements endlessly before beginning (“measure twice, cut once” was more like “measure 10x, cut once” for me). The drawings were part of the development, but entirely necessary to the process. 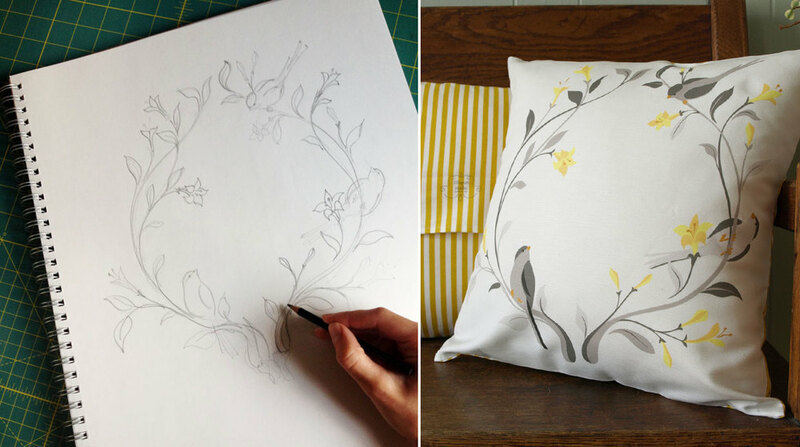 While living in New York after college, I worked at textile and design firms, learning computer drawing and pattern drafting programs while designing print and embroidery for textiles. Having little time or space for my own work, sketching (and the very occasional painting) was my only means of personal exploration. Gradually, I was moving back towards creating imagery, rather than using drawing to create by other means. 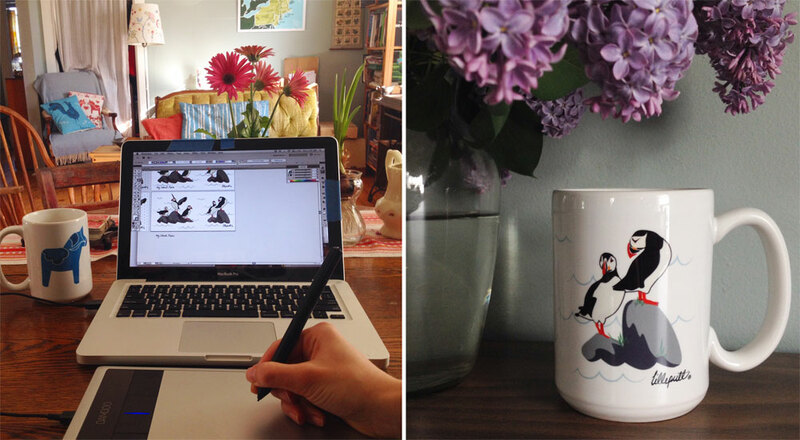 Relocating to Maine and setting up Lilleputt Studio gave me not only the space to work, but renewed inspiration for a life that values reflection and slowing down, and nurturing oneself through daily rituals, good local food, and time spent outside. With my current work, I continue to explore the same subject matter of childhood memories and nostalgia for time spent in Sweden, and many themes where I find the Maine lifestyle and Scandinavian values overlap. Beginning both with hand drawn sketches, as well as illustrations done directly on the computer, I try to create simple and considered designs that not only represent these values, but help nurture and inspire them in those that engage with my work. No matter what medium, whether printed on fabric, paper or ceramic, they all start with a thought put to paper. Read about how our products are printed and made here.